Thanks for all of the feedback on my last post! Like I said, I have no concrete plans of quitting blogging--I'm just trying to figure out what direction I want to go with the blog. I had an idea today to start a "Flashback Friday" post once a week, where I share my old journal entries (word for word) while I was losing weight. 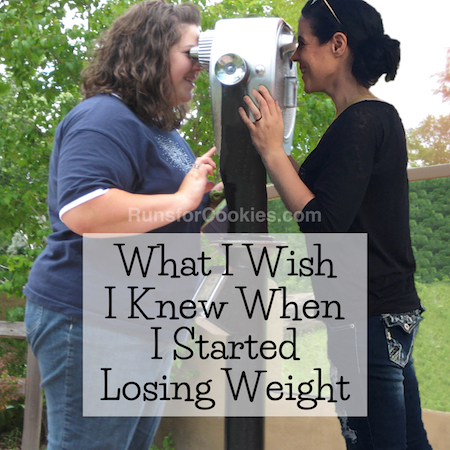 I had a blog before Runs for Cookies, and I wrote in it almost daily while I was losing the weight in 2009-2010. It's no longer online, but people ask me all the time if they can read it. I went back and read a few of the posts today, and it's embarrassing! My writing was terrible, I sounded SO whiny, and I just want to smack myself while reading it for some of the things I wrote about ;) I'll give it some more thought, but I think I'd be too embarrassed to post those entries. I have three friends coming to visit in a couple of weeks, and I'm super excited about it! Caitlin and Bonnie are from my Ragnar SoCal team (Caitlin is from Massachusetts and Bonnie is from Virginia); and then Andrea is from my Ragnar Florida Keys team (the one that was in the documentary) and she lives in Kansas. Caitlin and Andrea have been here before, but it will be Bonnie's first time visiting. I've been doing a lot of thinking about what my goal will be for Indy in May, and I finally decided that I'm not going to set a time goal. I've been having a hard time making myself stick to a running schedule lately, and I would really like to get back in the routine of running five days a week. I'll make my goal to just follow the schedule, get in all the training, and feel good while running the half. I don't really feel ready to start training very hard for a PR. When I ran Indy in 2011, I had the same thought--just run the whole way, and finish whenever I happen to finish. I really enjoyed that race! I haven't run 13.1 miles since the half I did at Cedar Point in December of 2014. 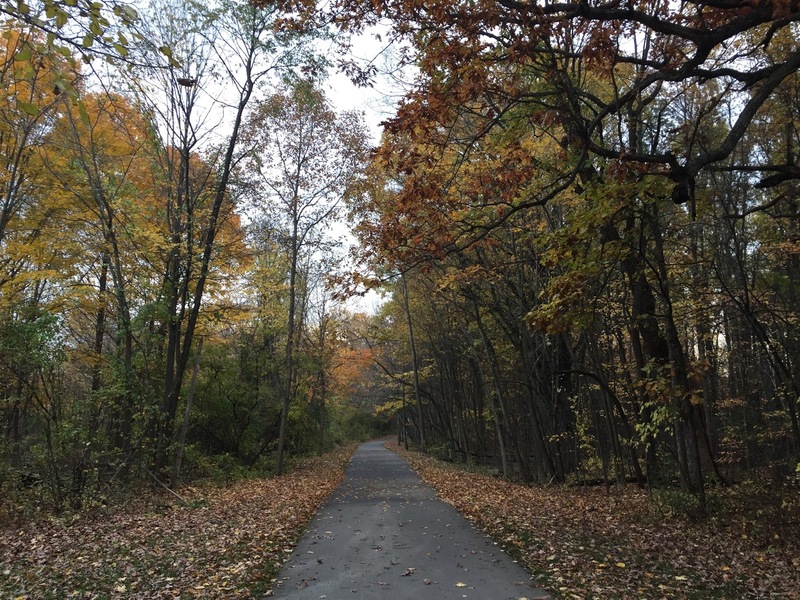 I hobbled the last couple of miles, in pain, and later learned it was because of a stress fracture. 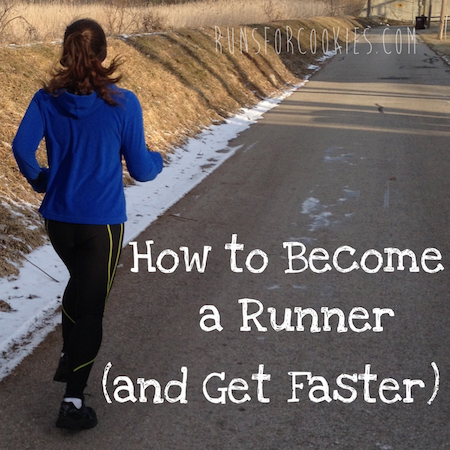 Most of my "long" runs since then have been just six miles, so training for a half-marathon will feel fresh and new! I bought some yarn today so that I can start knitting again in the evenings. I've been having a hard time with snacking at night lately--my day will be great and I'll count calories until evening, when I watch a show and find something to snack on. When I was losing the weight in 2009-2010, I started knitting a LOT. It kept my hands busy at night so that I wouldn't eat while watching TV. And I was excited about finishing each project! When I started my blog, I quit knitting. I didn't really realize how much I missed it until I went to the store today and started looking at yarn. I'm really in the mood to knit, but when I was looking at patterns on Ravelry, I came across this crocheted black cat hat and I love it. So, I'll probably start crocheting that tonight! 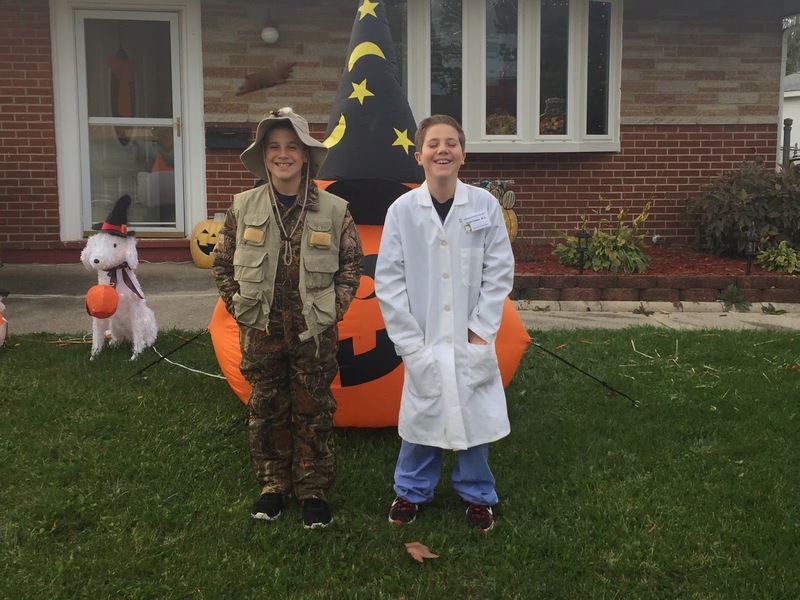 Eli was a fisherman and Noah was a doctor for Halloween. This was at Jerry's parents' house before they went trick-or-treating. top of Eli's candy on Halloween night. Went for a long walk with Jessica on Wednesday, and it was so pretty! I barely get any of the electric blanket, because the pets hog it all. Here, Joey was actually sleeping with his head on Estelle. 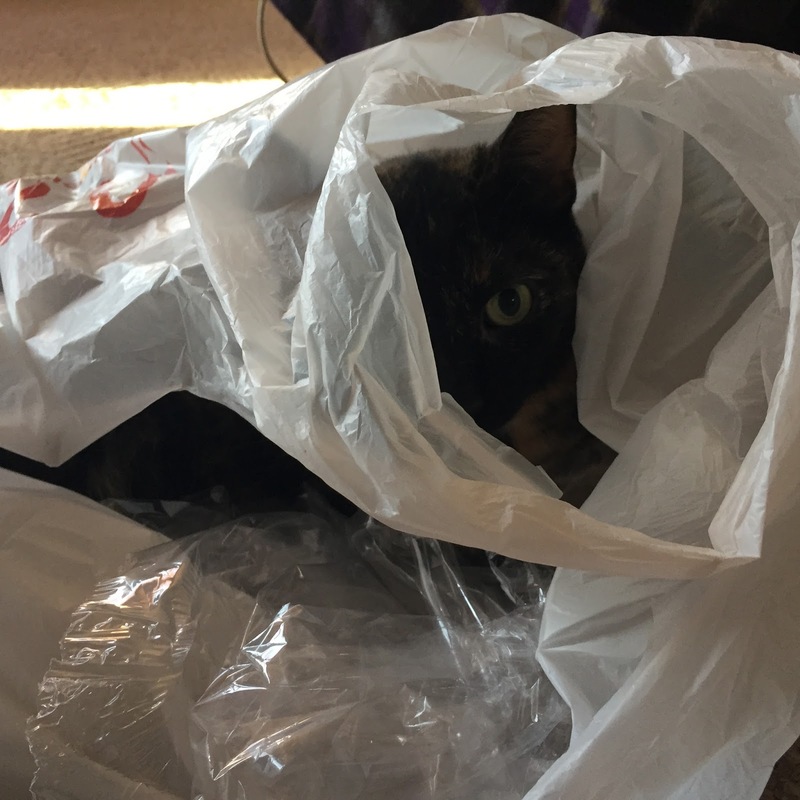 She wasn't sure what to do. This is a portrait that Eli drew of me in art class, and I LOVE it. no time crawling inside and getting comfortable. The photo with Joey's head on Estelle is hilarious! And wow, I love the picture Ely drew of you, too! He is very artistic and I especially like the cute cookie character he put on your shirt. I hope you frame it or something! I'm going to frame it and hang it up. It's one of my favorite things he's ever made! Did you have someone teach you to knit or did you learn from a book or video? Is it expensive for supplies? I think that is a great idea to keep from night snacking but I've never knitted. I live in Michigan as well and could use some cute new hats and scarves but of course rookie knitting might mean not too cute! I think it would be fun to try though. Forgot to mention I made the cinammon apples from your website this week, very easy and super yummy. Thanks for the recipe. I actually taught myself to knit when I was very young--probably 10? I bought a book at the craft store, and taught myself that way. In my 20's, I taught myself to crochet the same way. These days, though, I'm sure there are hundreds of videos on YouTube that will make it much easier to learn! When I learned to knit, I was taught to use really big needles at first-they were almost like one of those really fat pencils that kids use to use (maybe still use). That really helped me get the feel of it, without making my stitches too tight.I love knitting, but it does take longer to finish a project than with crocheting. I would start with a scarf, as mistakes don't show so much, and you are just knitting back and forth. I think a really good yarn, that is not really expensive, is Vanna's Choice, which you can get at Michael's or online. Also, I spent a little more and got bamboo needles, and I LOVE them, as they are so nice to knit with. Anyway-hope that helps! I, too, needed something to occupy my hands, (in order to cut down on my snacking) so I got out my counted cross stitch projects. My problem is that my 60-lb. Bulldog always wants to sit on my lap, especially when I'm trying to cross-stitch, and that makes it tough to do any stitching--she's a BIG girl!! Hi Katie, I really enjoy your blog even though I have never left a comment. Although you would feel embarrassed about posting old blog entries, I think it might help others if you can get up the courage to do so. My thinking has to do with the line about being whiny. Yes, you may sound whiny, but those of us who are trying to make progress are in the whiny stage. It would be good to read and identify with how you felt during this time, but you still managed to keep going and become successful. 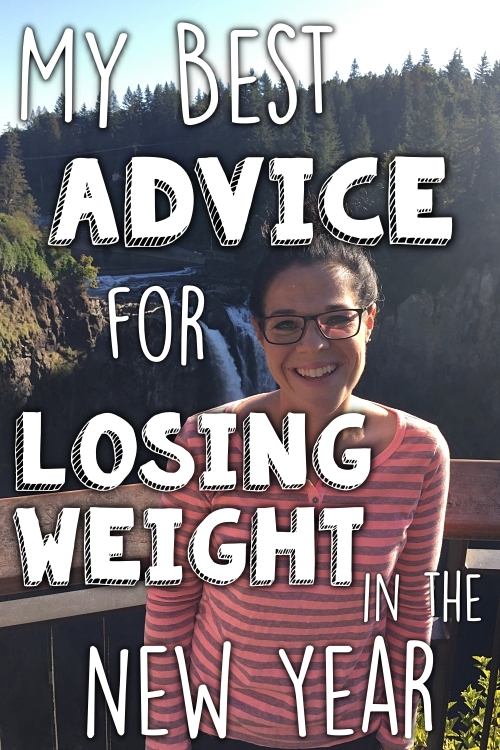 For me personally, I enjoy reading and relating to others when it comes to losing weight and maintaining a weight loss. When I read how others struggle, I don’t feel alone. A couple of years ago I finally got back to what I call a normal size, even though I was still overweight. Then I lost my focus and gained back all that I had lost. 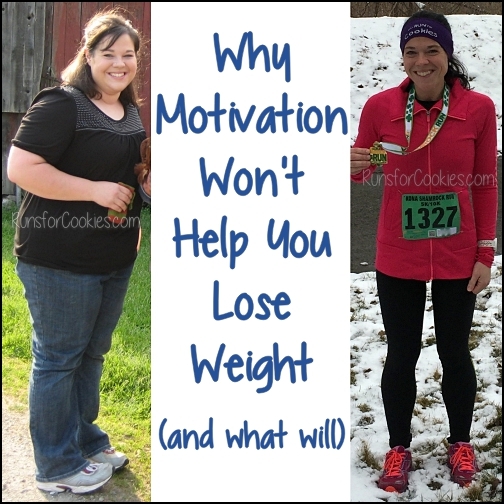 I find it helpful to read through the archives of weight loss blogs to find inspirations and encouragement. Knowing how others feel/felt, reading how they struggle or regain and just identifying in general can be a big help. Your blog is such an inspiration; not only because of your success, but because of how open you are about your struggles. You have done a great job on your blog; you can be proud of all the people who find encouragement when reading all that you have to say. I agree! I'd love to read your whiny posts, it will make me feel better about myself when I get whiny. And BTW- wine club?! That sounds awesome! I'd love to read more about that! 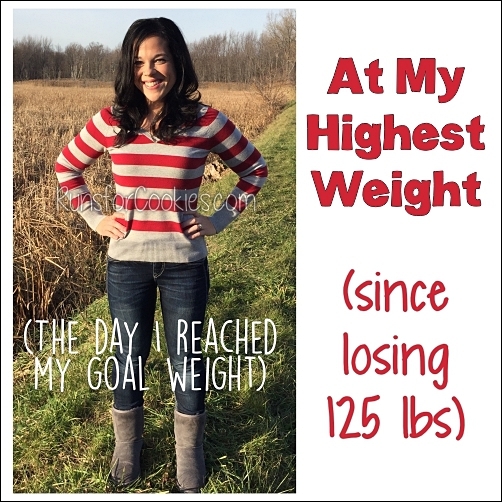 Hi I don't think I've ever commented here before but I've followed your story all the way from your OD and your efforts and frustrations before finding success with weight loss. Don't judge your efforts from those days too harshly, your words and experiences back then were real, and just as interesting and engaging as your words now :-). I loved reading your transformation, thank you for sharing it. Would love to see those early entries. As it will show us where you started and how far you have come. But I respect your decision. Eli's picture is fantastic. He is an artist for sure and it shows how loved and happy he is because the picture is full of life and beauty. My animals hog my bed and blanket too so I can so relate. :-) I too want to be a voice in thanking you for your blog. 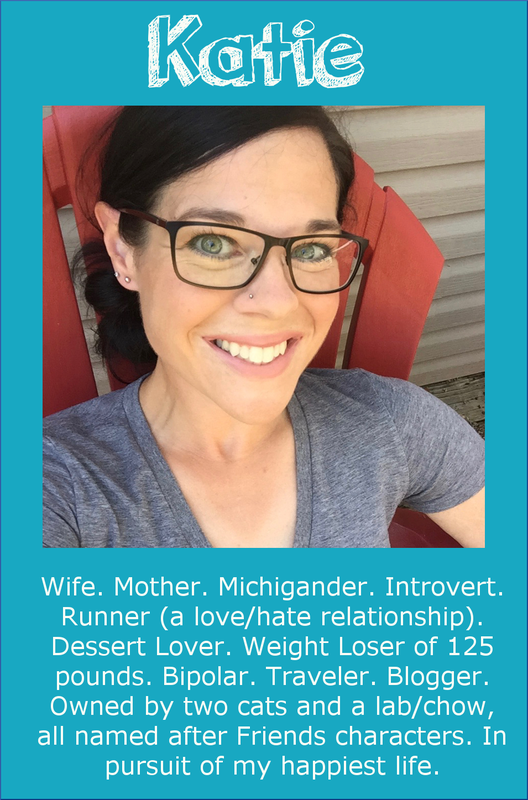 Your blog is my favorite because you are so authentic and I always come away with a smile or feeling like I have learned something. As someone recovering from a foot injury for a over a year, I think a healthy, injury free race goal is awesome! So glad you are going to stick with the blog for now. Love the picture your son drew! What a blessing.